FREEBIE!! 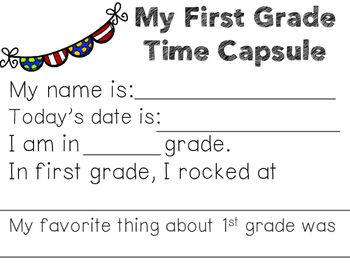 A writing time capsule is an awesome way to celebrate your students. 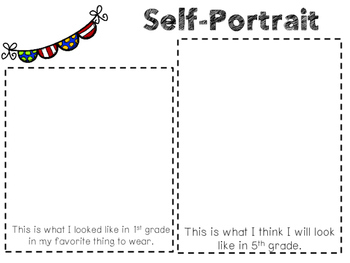 This is an end of year activity that we do with our first graders. We are in a Kindergarten through 5th grade elementary school. We have the students fill out the activities and put the finished products in an envelope. 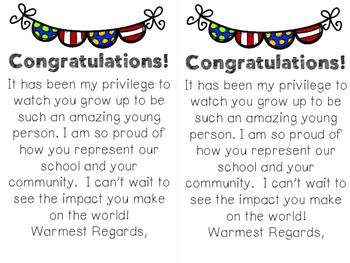 We will file the envelopes by year and then when they are graduating we will give the envelope to them as a graduation gift. We also include a picture of them in first grade. 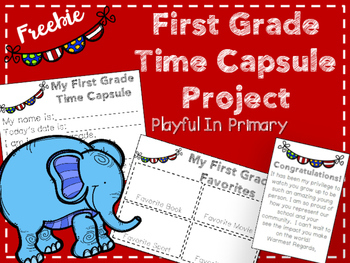 What could be more fun than a time capsule to wrap up the year?! If you download and enjoy this product please leave feedback. Make sure to check out our best selling Author Study Mega Bundle. Author Study Mega Bundle SAVE 50% by purchasing all at once. This pack highlights 27 picture book authors and 16 chapter book authors from our best-selling Pack 1, Pack 2 and Chapter Book Pack plus bonus authors! This huge pack also comes with a book pendant display to spice up your classroom library! 15 Reader’s Theater Plays-Holiday and Seasonal Year Long Pack 15- 2 person plays perfect for buddy reading through the holidays! Crazy About Conventions 15 week program that makes learning conventions fun! Make sure to check out the rest of our store for other freebies and literacy materials. Follow Playful in Primary on FB and Instagram to keep up to date on flash freebies and giveaways!